Secure network access for a mobile world. Customer rely on ClearPass Secure NAC (Network Access and Control) every day to provide the most secure and reliable network access and control, and the best enterprise mobility experience for all users. 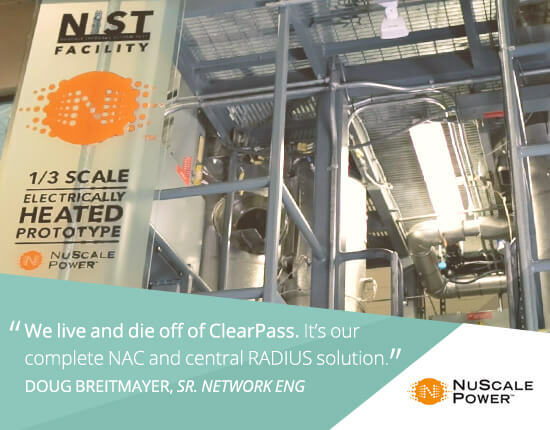 In addition to Aruba wireless, NuScale Power deployed Aruba’s ClearPass Policy Manager platform for full wired and wireless Network Access Control (NAC), secure device onboarding and guest access. 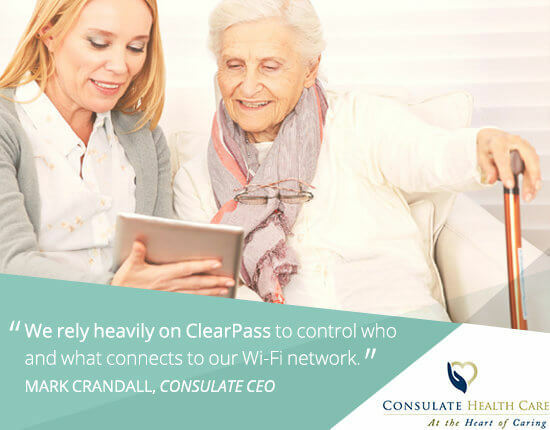 ClearPass provides the ability for employees to collaborate from anywhere securely over wireless and wired connections and offers at least a 10-15% savings in IT time and resources. Consulate deployed an Aruba 802.11ac WLAN at its new headquarters to handle the influx of Wi-Fi-enabled devices and clinic apps. And it depends on ClearPass to securely onboard those devices and apps. ClearPass combines contextual policy management with next-generation AAA, BYOD and device assessment services to provide all the robust network access control and security of a wired network in a wireless environment. 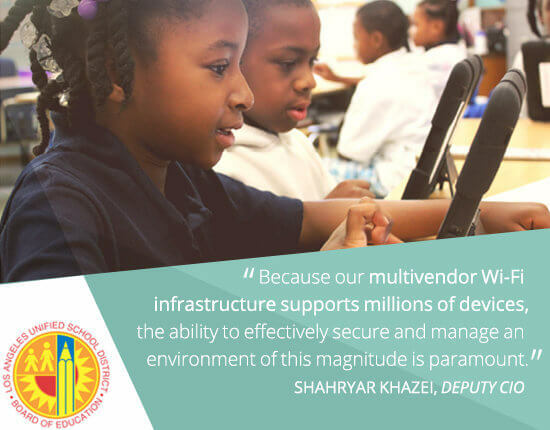 After announcing a one-to-one computing initiative for more than 650,000 K-12 students, L.A. Unified School District chose Aruba ClearPass to unify, manage and secure its multivendor Wi-Fi infrastructure. ClearPass combines policy management, automated device onboarding, device health checks, and scalable AAA for the strongest possible network access control and security. Today, getting a Wi-Fi connection is as easy as A-B-C. 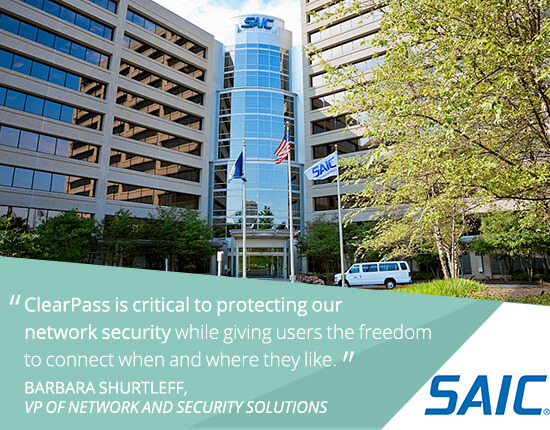 In the midst of deploying a “Next-Generation Architecture” to satisfy the needs of 15,000 employees in over 70 U.S. locations, SAIC chose Aruba ClearPass and 802.11ac WLAN for their company-wide overhaul. Aruba’s ClearPass Policy Manager supports an integrated approach that supports corporate owned devices, Bring Your Own Device (BYOD) as well as guest access needs via a single management solution. 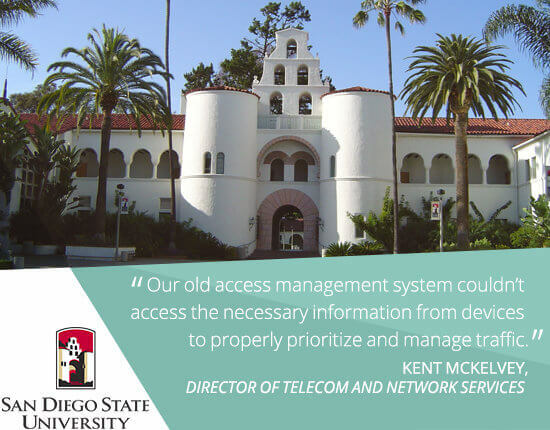 San Diego State University needed a next-generation policy and access management system to strengthen network security and handle the exponential growth of mobile devices and BYOD. Aruba ClearPass enabled the university to manage network policies, securely onboard and manage devices, and connect guests – all from one platform and without creating a burden on IT. KFC wanted to create a brand experience that engaged its customers and increased the time they spent at each restaurant. 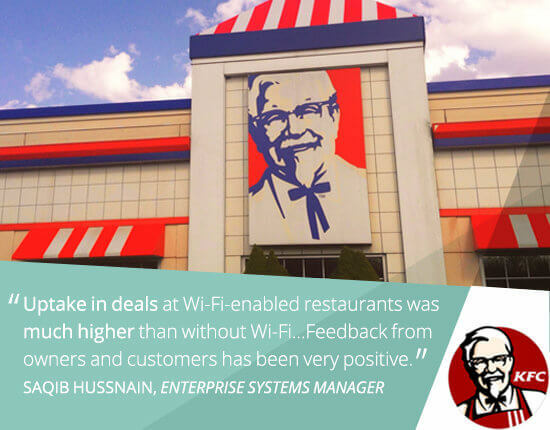 KFC concluded that a high-performance guest Wi-Fi network was the recipe for success. Aruba ClearPass was deployed for KFC-branded guest Wi-Fi access. It also enforces role-based network access for users and devices. Ultimately, ClearPass streamlined and simplified the way KFC does business.